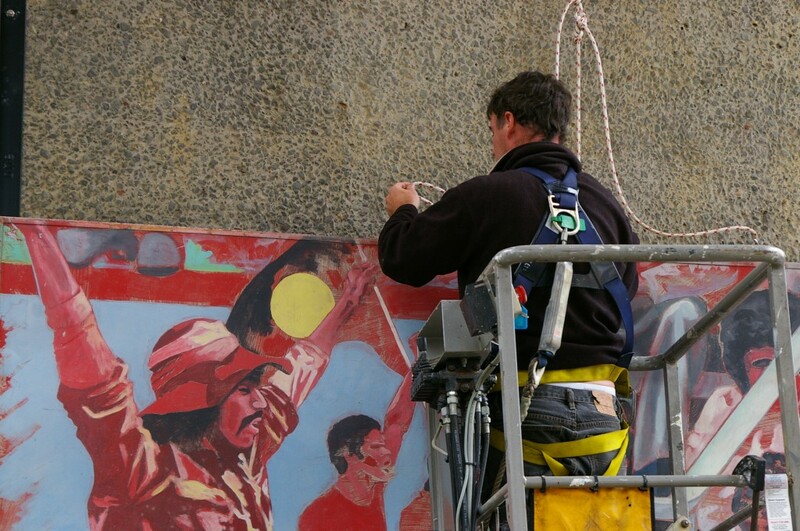 The Woolloomooloo Murals project was conceived in 1979 by activist artists Merilyn Fairskye and Michiel Dolk, along with the Woolloomooloo Residents Action Group, to celebrate the history of the local community and their battle to save the area from high-rise development. 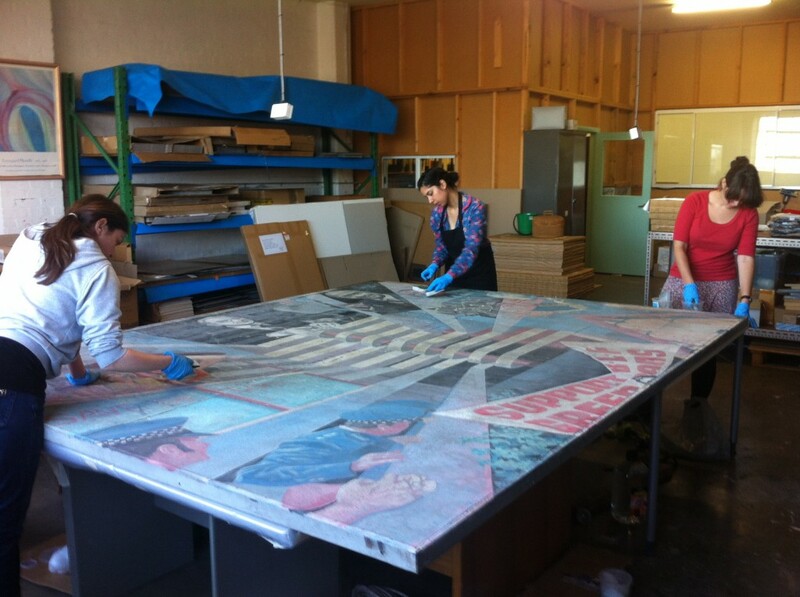 Two separate series with a total of 16 works were commissioned by the Woolloomooloo Residents Action Group. Originally these works covered both sides of the eight pylons of the Eastern Suburbs railway viaduct. One series were renewable billboards, originally designed to be changed annually and then repainted in 1984 by a range of artists. The other series, located in the housing commission area of Woolloomooloo, were permanent murals painted by Fairskye and Dolk in 1982. These murals represented the history of the community and tell the story of the ‘green bans’ or community-led environmental activism that took place in Woolloomooloo in the 1970s to prevent large-scale high-rise redevelopment of the area. 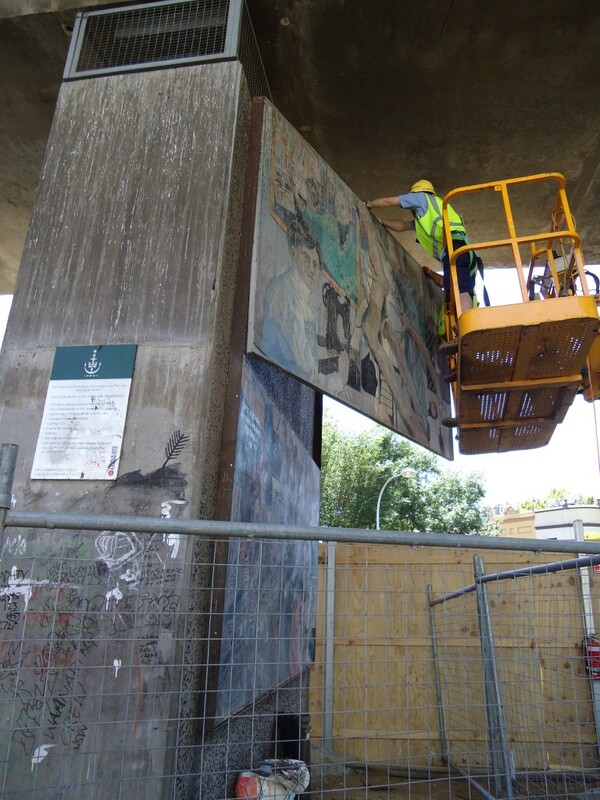 These eight original murals remain in place today and have been preserved by the City of Sydney. These are Wallamullah, The Waterfront, Victoria Street, A Balcony View, FEDFA Green Bans, BLF Green Bans, Passing through Customs and Women in Woolloomooloo. 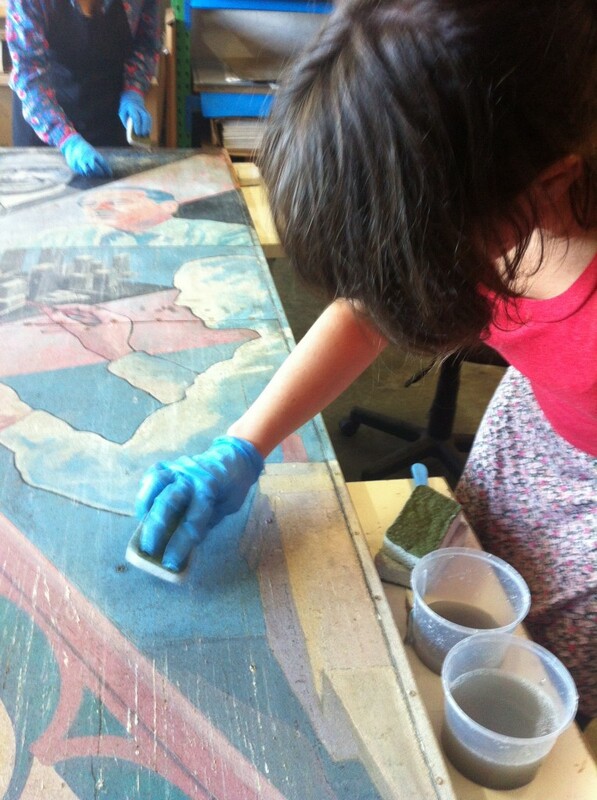 Major conservation work was undertaken on the murals between 2009-2013. Treatment included cleaning the paintings and reattaching paint. The panels were straightened, punctures repaired and the outer frames were reconstructed. Selected graffiti was removed and bird roosting deterrent spikes were installed. In the early stages of the treatment the conservators met with the artist Merilyn Fairsyke to discuss her desired outcomes for the paintings. During this consultation the artist reiterated her intention that no retouching of the paintings be conducted. The artists wished that the graffiti become a part of the history and fabric of the painting so an understanding was reached that the most disfiguring and distracting elements could be reduced so that the panels could be read more coherently.